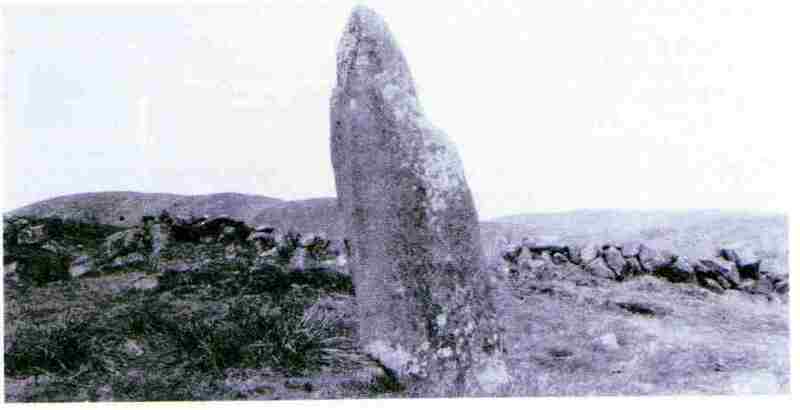 In an area like South Armagh the most plentiful building material is stone so there are many good examples of prehistoric stone monuments in the district and before considering a few of the more important it is desirable to place them in the story of man's occupation of the area. The most ancient ones are burial tombs and the best known term for them is "dolmen" - but what is a dolmen? It is a large boulder or slab of stone resting on three or more upright stones and is there because a man, or rather a group of men, erected it. Although these dolmens are the most prominent, they are not the most numerous monuments. Low cairns with chambers made of large stones are more common. The purpose of them all was to serve as burial mounds or graves constructed in a period long before written history. For nine-tenths of the time in which man has been on this earth he has been illiterate, for writing was an art which he had time to acquire only after a long struggle to hold his own against the forces of nature and gradually win dominance over them. Writing has been known in Ireland only since the advent of Christianity but men first reached these shores some nine thousand years ago. This means that there is a period of about seven thousand years when there is no written history of Ireland. This era is called prehistory and a great deal of information about it has been laboriously built up through the researches of archaeologists. At first men used the raw materials to hand - wood, plants, stone and the skins and bones of the animals they killed - but of these only the stone remains and thus the earliest period is termed the Stone Age and is divided into three - the Early, Middle and New Stone Ages. The advent of the Ice Age rendered Europe uninhabitable and it was not until the final retreat of the ice about 10,000 B.C. that men could settle in Europe. They moved north-westward in pursuit of the great herds of animals which roamed the grassland plains of the Tundra or Sub-Arctic lands as the ice retreated and the weather conditions improved. This improvement in climatic conditions continued and trees began to appear as the weather got warmer. By the time Ireland was reached these changes had led to the extinction of the great herds and man had become a food-gatherer and fisherman rather than a hunter. Attracted to Ireland by the flint around the Antrim coast, Mesolithic or Middle Stone Age settlers dwelt on the seashore and on the river and lake banks close to their supplies of food. About 3,000 B.C. New Stone Age men arrived bringing with them the knowledge of one of the great advances of the human race - farming. These people settled on the hill slopes which were then lightly wooded grasslands where they could graze their flocks and cultivate small plots and they were the builders of the dolmens and other stone tombs. Later they learned the art of bronze working and then iron smelting. By about 1,000 B.C. the weather had changed again to a climate similar to that of today and the increasing rainfall led to the formation of hill-top bog but the farmers equipped with metal tools were able to move down to the heavier soils and thicker woodlands of the valleys and drain and clear them for cultivation. On the hillsides in the area around Slieve Gullion the stone tombs of the New Stone Age farmers are still to be seen. There they buried their dead, or at least the dead of their chieftains, cremated and accompanied by their pottery and stone tools and weapons, presumably for use in an after-life. To the east of the Newry-Dundalk road, in the townland of Clontygora, stands a fine example of a court cairn, locally known as the "King's Ring". It was excavated in 1937 by Dr. Oliver Davies of Queen's University, Belfast, and Mr. T.G.F. Paterson of the Armagh County Museum on behalf of the Belfast Natural History and Philosophical Society (See the Proceedings of the B.N.H. & P.S., 1938). 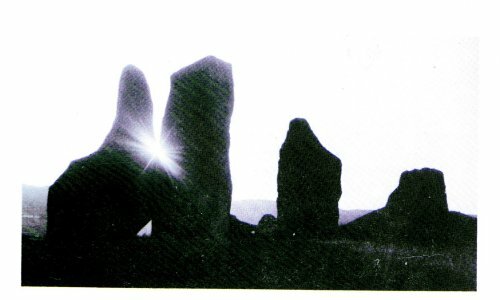 This is a typical cairn with a semi-circular entrance of standing stones, some over six feet high, leading into a row of three burial chambers made of stone slabs set on end and originally roofed with lintels or long slabs laid across the walls. Although now ruinous and the cairn once covering it completely gone (stripped for building stone by later generations), it remains a most impressive monument to the industry and organising ability of the first farmers in South Armagh. In the chambers the excavators found pottery of a type made during the New Stone age and flint arrowheads and a small stone axe of the same period. To the west of Newry and on the south slopes of Camlough Mountain, in the townland of Ballymacdermot, is another court cairn. This was excavated in 1962 by Mr. A.E.P. Collins of the Archaeological Survey and Mr. B.C.S. Wilson of Queen's University. Their findings are published in the Ulster Journal of Archaeology, Series 3, Vol. 27, 1964. Here again are to be found the three chambers behind the forecourt and although the stones are less massive more of the cairn remains and each chamber is separated by a sill stone and two upright jambs. Over these smaller chambers the roof was constructed by corbelling, i.e. smaller stones advancing towards each other in successive courses until they could be joined by capstones or lintels. Here again the excavators found Neolithic pottery and flint implements. On the top of Slieve Gullion are two further tombs - the north and south cairns. That to the north is a round cairn and on the southern summit there is a large passage grave. Mr. Collins and Mr. Wilson investigated both these in 1961 and published their findings in the Ulster Journal of Archaeology, Series 3, Vol. 26, 1963. The North Cairn is a great circular mound of stones about 40 feet in diameter and 10 feet high and was found to Contain two cists or small square graves made of stone slabs set on edge. This is a typical round cairn probably later in date than the dolmens and court cairns of the lower hills and the pottery is of the heavily ornamented type known as food vessel ware dating from the Early Bronze Age when the Neolithic farmers had learned the use of metal but the weather had not yet deteriorated sufficiently to force them down from the hills. The presence of this round cairn and the passage grave on the mountain's top suggests that by the time tlkese tombs were built there was a large well organised community able to give the considerable effort necessary to constructing such burial mounds in a difficult but prominent situation. The South Cairn is a passage grave of the same plan as those which are to be found in the great mounds of the Boyne Valley in Co. Meath - Newgrange, Knowth and Dowth - although it is smaller and without the elaborately decorated stones. Here in a great cairn, over 80 feet in diameter and originally 20 feet high, is a 15 foot long passage; roofed with lintels resting on upright wall-slabs, leading to a corbelled central chamber about 10 feet in height. This cairn, conspicuous and well-known, has been explored on many occasions, the first reference to it being in 1739. It was opened about the end of that century and again in 1815 yet careful modern excavation still revealed a few flints, including a tanged and barbed arrowhead, a type usually considered to date from the Early Bronze Age. Legend called it the house of the Calliagh of Slieve Gullion or Calliagh Birra's House but the scientific account of the excavations at Slieve Gullion is recorded in the Ulster Journal of Archaeology. To the east of the mountain are the remains of a court grave known as Clonlum North Cairn. It was much denuded in the 19th. 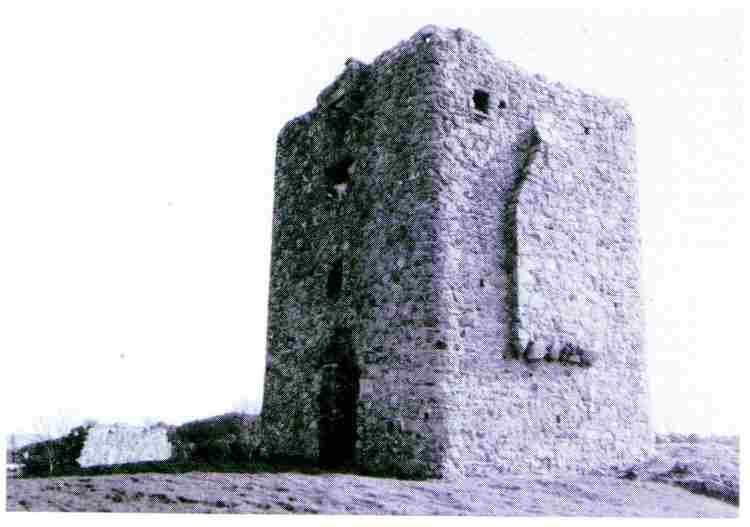 century when its stones were used to build Killevy Castle. Its burial gallery is not apparently divided but its length suggests that it could have had three or even four chambers. 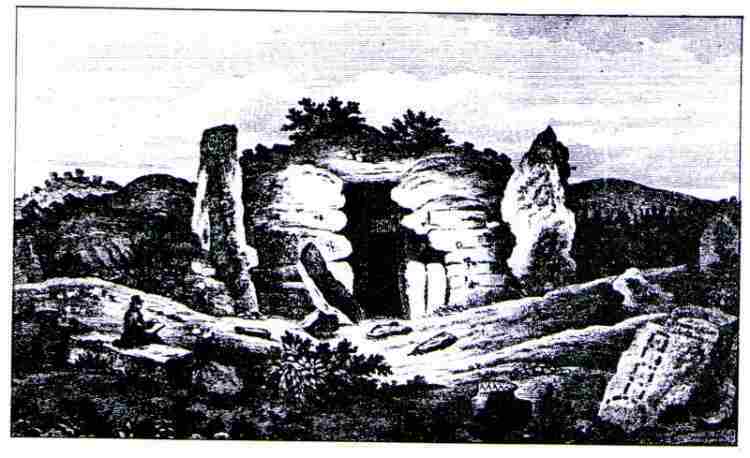 This monument has not been excavated but was noted by the local antiquarian, John Bell, in the Newry Magazine in 1816. In the centre of a field beside the road below Killevy Castle is a circular cairn known as Clonlum South. Excavation in 1934 by Dr. 0. Davies and Mr. E.E. 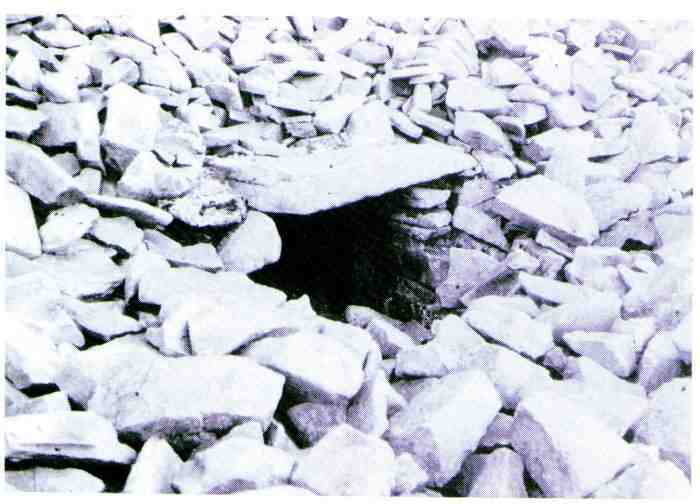 Evans of Queen's University showed that it contained a rectangular chamber with a large broken capstone. The excavation was published in the County Louth Archaeological Journal, Vo. 8, 1934. To the west of Slieve Gullion, at Ballykeel, is a classical example of a dolmen, a great slab set up on three uprights at one end of a long cairn which is now stripped to its foundations. When this site was investigated by Mr. Collins in 1963 (Ulster Journal of Archaeology, Series 3, Vol. 28, 1965) the backstone or rear support had split and collapsed and the capstone, a granite boulder 9 feet by 8 feet, lay at the angle resting on the two front supports. A cist had been inserted at the far end of the cairn and the finds included Neolithic pottery, flint scrapers and a javelin head. 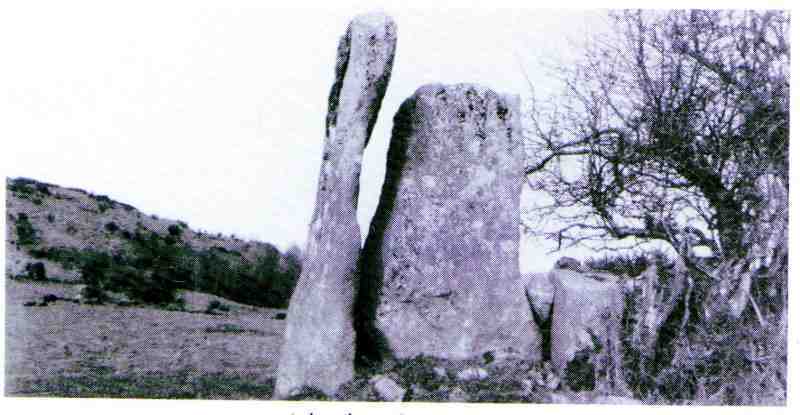 In Aghmakane townland south of Sturgan Mountain close to a small cashel, or stone-built enclosure, are three tall standing stones, locally known as "The Long Stones", probably the last remnants of a dolmen. In Carrickananny north of Belleek is a souterrain or underground passage built of stone. This is a complex example consisting of four chambers set in a passage some 60 feet or more in length. Two of the chambers are formed by a widening of the passage and the other two are offshoots from them. North of Ballykeel two stones in a ditch in the townland of Annacloghmullin are all that remain of a large court cairn with four chambers. The details of it are only known from an illustration on page 610 in James Stuart's, "Historical Memoir of the City of Armagh", published in Newry in 1819. This shows a front view and plan and it is said to have been 60 feet long and 12 feet high at that time. Further west lies the cairn of Annaghmare, or the "Black Castle", a court cairn sited in bogiand near Crossmaglen. It was excavated in 1963 and 1964 by Mr. D.M. Waterman of the Archaeological Survey. He published his report in the "Ulster Journal of Archaeology", Series 3, Vol. 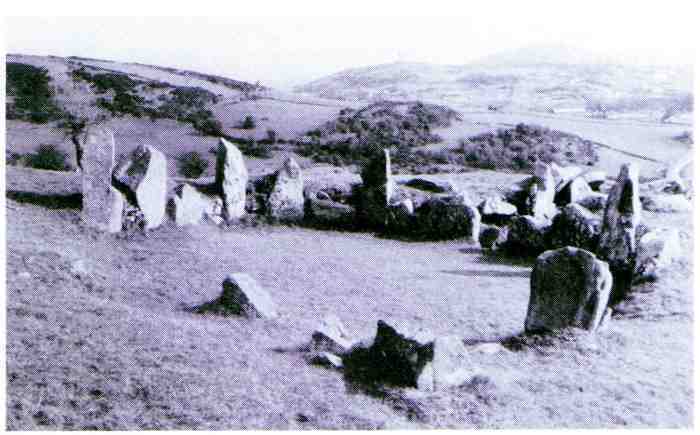 28, 1965, and showed that this was a cairn with three chambers. Between the standing stones of the forecourt facade was well built dry stone walling and behind the chambers but entirely separate were two transverse or lateral chambers. The excavator concluded that they were additional features but not necessarily much later in date than the construction of the cairn. This would seem from the finds - flint scrapers, a javelin head and Neolithic pottery - to be of New Stone Age date, probably late in the period. South-west of Annaghmare, at Corliss, is a fine example of a later monument in the form of a double-ringed rath or earthen fort. This was a habitation site of the early Christian period and was the fortified home of a local chieftain. This type of dwelling is common throughout the Irish countryside but an interesting feature at Corliss is a souterrain or underground passage with stone walls and a roof in the centre of the fort. A mile to the east of Tullynawood Lake, south of Keady, there is a dolmen in the townland of Aughnagurgan. It is a ruined chamber with four uprights, two of which have collapsed under the weight of the capstone which measures 12 feet by 6 feet. When Bell saw it early in the last century it was covered by a cairn. The "Giant's Grave" in the same townland is the remains of an oval shaped cairn, surrounded by ten upright stones, some of which have fallen. 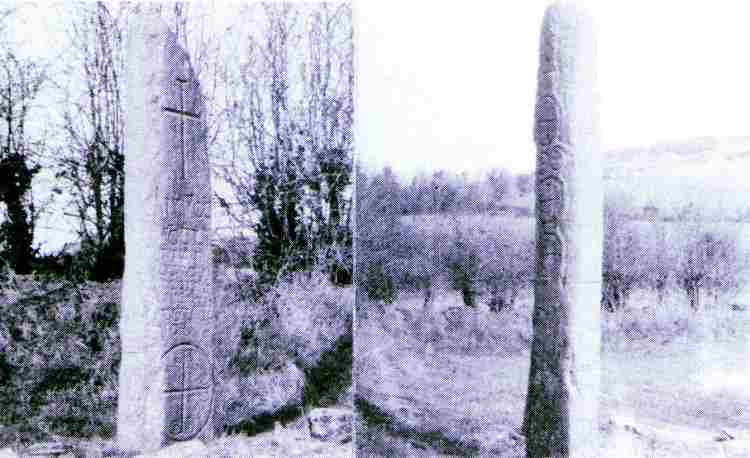 Amongst the later monuments of interest is the pillar stone at Kiinasaggart close to the border with Co. Louth in the townland of Edenappa. It is a tall granite pillar marking the site of an early Christian burial place. The inscription carved on the flat south-eastern face records its dedication to St. Peter the Apostle by Turnoc, son of little Ciran. The Annals record Turnoc's death in 714 A.D., so the pillar must date from the early 8th Century. On the back are ten incised crosses, each within a circle. Dr. Arm Hamlin excavated here in 1966 and 1968, uncovering an early Christian cemetery with both dug and stone built graves. The site was unfenced until early this century when it was enclosed by the County Louth Archaelogical Society with the assistance of the young men of Dromintee parish. Just across the railway line in Carrickbroad is the Moyry Castle standing on a rocky eminence. It is a three storey tower almost square with rounded corners and musket loops on each floor. There are no windows on the northern side which carries a protruding chimney and the fragmentary remains of the bawn (or courtyard) wall can still be seen. It was built by Lord Mountjoy to secure the Pass through the Gap of the North during his campaign in Ulster in 1601. To the south of Carnlough Lake in Ballintemple on the eastern slopes of Slieve Gullion are the ruins of Killevy Churches, two sited end to end and linked to form a single long building. The older one is to the west and is some 45 feet long by 22 feet wide with a massive lintelled door in the west end and it dates from the 10th or 11th Century. The east church is medieval with a 15th century east window. This was the site of an important nunnery founded by St. Monenna in the 5th Century. It is recorded that it was plundered by Vikings from Carlingford Lough in the 10th Century but continued as a convent of Augustinian nuns until its suppression in 1542. A round tower at the south-west corner of the church fell in the 18th Century while higher up the mountain is still to be seen the holy well dedicated to St. Bline. 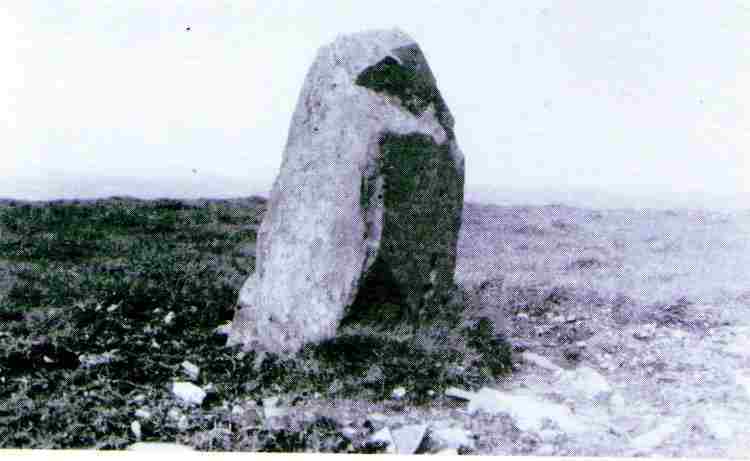 Isolated standing stones, or pillar stones, occur throughout the area such as those in Doohat and Ballard, while the one at Corran is associated in legend with St. Patrick and known as "The Grey Stone of the Watching". They could have been road markers, grave markers or boundary stones. Thus in the scenically beautiful and geologically fascinating region of Slieve Gullion mountain in South Co. Armagh can be seen in a compact area an impressive number and variety of the enduring stone relies of past days, part of the record of mall's progress towards civilisation.